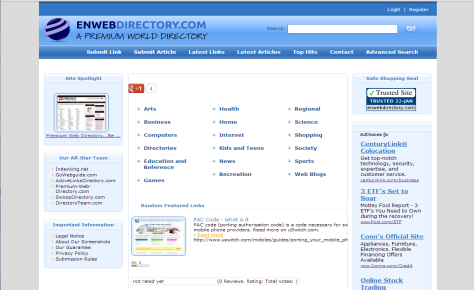 Enwebdirectory.com has a three-month Alexa global traffic rank of about 269,000. Unique visitors view over 2500 pages each month. These visitors view 3.8 unique pages and spend 3 1/2 minutes on average per visit.